National Indie Excellent Book Awards in the Inspirational and Spiritual category. Have you ever encountered a life-changing experience that challenged your hopes and dreams? Here is a inspirational book about a young struggling seagull named One Wing who must learn to cope with life after breaking one of his wings. During the healing process, he questions many aspects of his life. 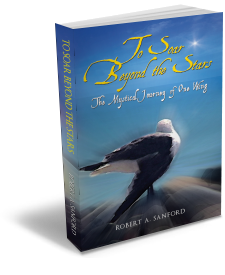 Readers will be mesmerized by One Wing’s adventures, which begin when he awakens to a mystical gull of light. The strange visitor tells One Wing that the two of them are one and the same. Puzzled by this, One Wing sets out to discover answers to the very questions we all ask: Why am I here? Where am I going? On his journey of self–discovery, he unravels the riddle of the Law of Attraction, why it works and how to use it. As One Wing becomes more enlightened about his truest identity, he learns ways of reinventing himself to fulfill his highest aspirations.